Jadwiga Lopata created an eco-tourism program that promoted the environmental, economic and health advantages of small family farms over large-scale factory agriculture. Jadwiga Lopata lives near Cracow, Poland, on her small organic farm in the farming community where she was raised. A former computer programmer, she has worked on rural preservation since the mid-1980s. 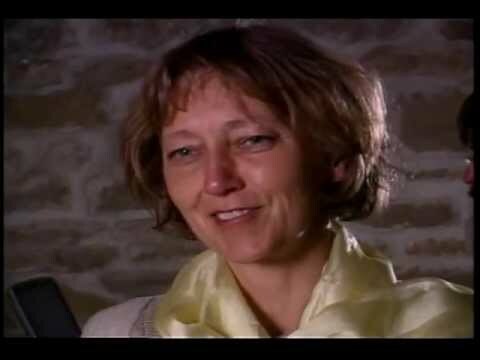 In 1993, she founded the European Center for Ecological Agriculture and Tourism-Poland (ECEAT-Poland). 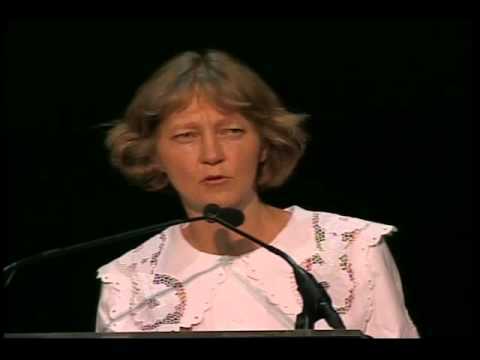 In 2000 she established the International Coalition to Protect the Polish Countryside (ICPPC) with Julian Rose, an organic farmer and ecologist in the United Kingdom. She is its co-director. Of Poland’s 2 million family farms, 68 percent are smaller than 20 acres (8 hectares). In Poland, the national park system preserves only 1 percent of the land. Therefore, the diverse landscape of the family farms provides much of the only open space for hundreds of diverse species. These farms do not use mono-crop, high-chemical farming methods. Many rely on reduced levels of pesticide, and the interest in organic techniques is growing. Having successfully resisted Communist efforts to collectivize agriculture and create giant state farms, Poland’s substantial family farm sector is now threatened by corporate agriculture. Since 1989, these small farmers have been forced to compete with Western European farmers who receive subsidies from the European Union. The subsidies encourage large-scale, highly mechanized, monocrop and chemically intensive agriculture. As Poland was moving toward EU membership, Polish family farmers realized that their livelihoods and traditional ways of life were being threatened. Lopata founded ICPPC with Rose in order to draw international attention to the threat that EU membership posed to Poland’s countryside. In 2001, ICPPC conducted an intense national and international campaign, “Charter 21 – Countryside Manifesto for 21st Century Poland,” that called on the Polish government to take a firm stand in protecting the Polish countryside and its ecological, natural, and cultural diversity in negotiations over joining the EU. This campaign gained the support of more than 462 Polish and international organizations representing more than 30 million people. She also organized meetings with the Polish Parliament, the European Commission Directorate-General for Agriculture, and the European Parliament. With the increasing demand for organic food, housing and environmentally friendly fuels, Lopata saw an opportunity to promote organic agriculture and give small farmers a way to remain competitive and viable. Through ECEAT-Poland and ICPPC, Lopata provided training in organic agriculture, promoted ecological tourism and the development of local markets. Her projects have created a system of eco-farms throughout Poland where visitors can vacation and learn about the environmental and health benefits of organically grown food. In 1993, ECEAT-Poland attracted 400 tourists from Western Europe to 14 Polish eco-farms. Only three years later, in 1996, about 3,000 tourists were accommodated on more than 60 farms. In her own village, Lopata succeeded in convincing the public and local authorities to support small-scale tourism instead of building a large resort. Lopata created a network of more than 130 organic and transitional-to-organic family farms in Poland. Participating farmers get an average of 20 percent of their income from ecotourism. Between 2000 and 2002, about 13,000 ecotourists visited these farms (about 30 percent from within Poland and 70 percent from abroad). The ECEAT approach has now been established successfully in other European countries and is coordinated internationally. Poland officially became an EU member state in 2004, and Lopata and her colleagues are continuing their work to advance Poland’s small farms and the organic food movement. She is currently working on a campaign; ‘Direct from the Polish farmer’ which resists the advance of supermarket chains in the country, while helping to ensure a future for local food and those who supply them. Support the International Coalition to Protect the Polish Countryside (ICPPC) by making a donation. Stay up to date with the ‘Direct from the Polish Farmer’ campaign and ‘like’ their Facebook page.